Being fashionable isn’t just about what you’re wearing, it’s a full-on lifestyle. Everything the style-conscious diva owns is a testament to her good taste. That’s what makes our sassy High Stylers Highlighters a must-have for all true fashionistas. 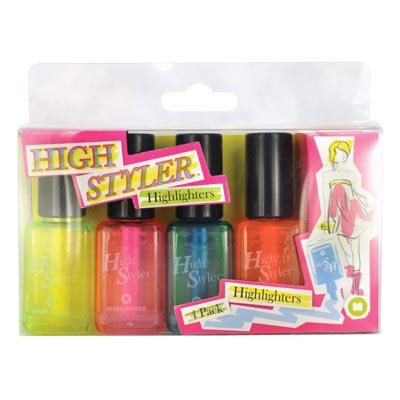 High Stylers Highlighters have all the functionality of their less sophisticated counterparts, but they look hot while they highlight. Fabulously designed after popular nail lacquer bottles, it’s certain that they’re made for a girl whose passion is fashion. At home, school or in the office, these trendy markers will stand out and show off your dedication to looking amazing no matter what you’re doing. We love adding fun and flair to everything we can, and catching some sweet attention for being a trendsetter is just about as good as it gets. 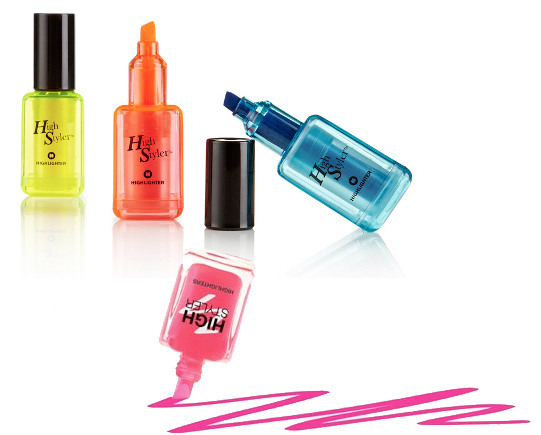 These highlighters are playful, boast style and sophistication and are totally useful too. LOVE!